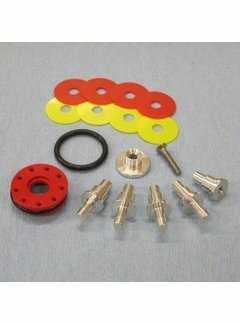 CNC Machined POM AOE Adjustable Airbrake Piston Head Pro Pack – A high quality, lightweight piston head for standard V2/V3 AEG gearboxes featuring the proven LPE AOE (angle of engagement) adjustment design, this allows for 0 – 5mm of adjustment to be precisely and easily made using LPE AOE shims while keeping the piston head centred on the piston. The piston head body is machined from aluminium with excess material removed to minimise weight and a full radius o-ring groove to spread the impact force and maximise durability, a seperate slimmed down aluminium core and non-bearing type bushing help to maximise durability while keeping the overall weight down. For springs over M120 an aluminium piston head is recommended. 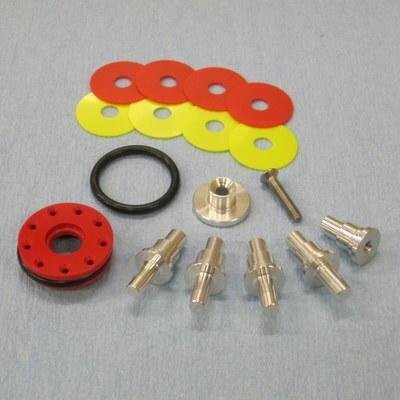 This Pro Pack includes 4 airbrake cores (4.2mm, 4.3mm, 4.4mm & 4.5mm diameter) to allow you to match the airbrake to your cylinder head, a standard non-airbrake core and a pack of 8 machined AOE shims, use with flat cylinder heads is recommended to give maximum sound reduction. 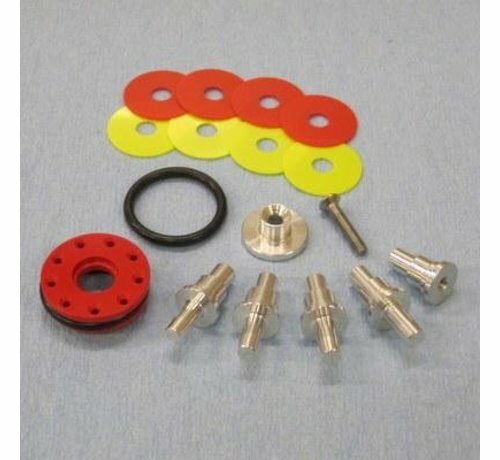 All machined parts are fully CNC machined from solid bar in the United Kingdom by Lees Precision Engineering.